In my kitchen, I have a oven temperature conversion guide. It’s really useful when I pick a recipe that doesn’t give me a fan oven temperature. Here at Pinch of Nom we use electric fan oven temperatures in our recipes. 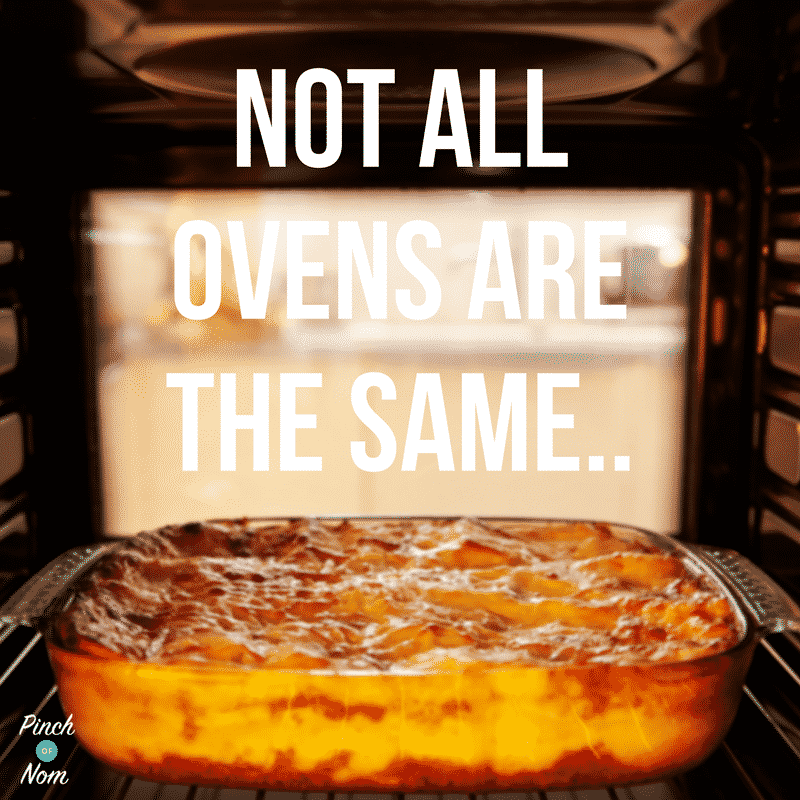 Check below for our oven conversion chart! When I was growing up, my mum had an electric oven and hob. I learnt to cook on it, using Fahrenheit as the temperature scale. I didn’t relate Fahrenheit to anything else, at school I was taught about temperatures using centigrade, or Celcius, but I still used Fahrenheit at home. My mum’s mum, on the other hand, had a gas oven and hob. When she passed on a recipe, she would casually say, “Gas mark 4, for 20 minutes.” as though we knew what that would be in Fahrenheit. We would come home and frantically search cook books until we found a recipe that used the same temperature. This was before we could use an internet search engine to find an oven temperature conversion guide! These days, nobody really uses Fahrenheit. It’s considered ‘old money’, in the same way that schools teach the metric system of measurements. 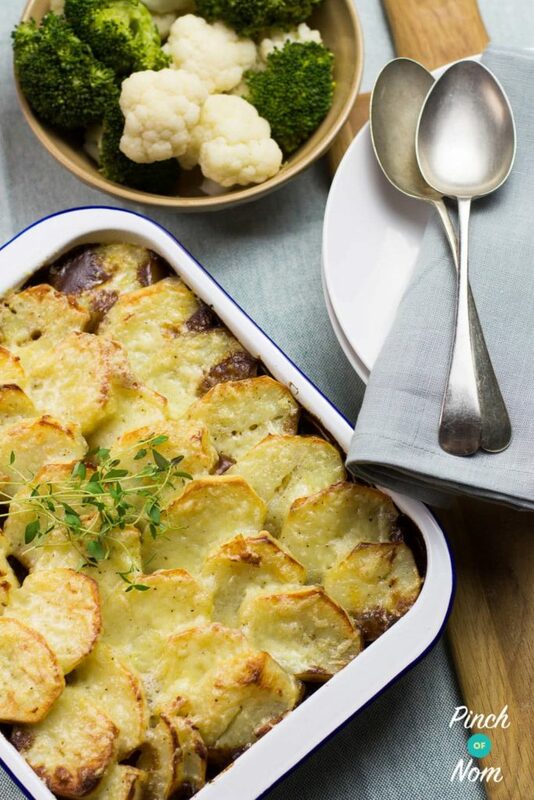 Our Low Syn Cumberland Pie is perfect in the oven! We thought it would be useful to produce a oven temperature conversion guide, whether you’re using an electric, fan or gas oven. Here at Pinch of Nom we use electric fan oven temperatures in our recipes. 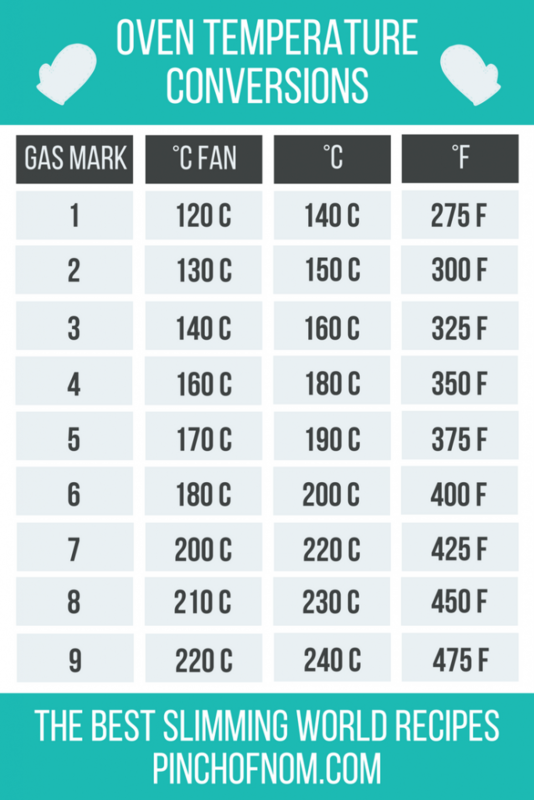 You could print out our guide to oven temperature conversions and keep it handy for easy reference! 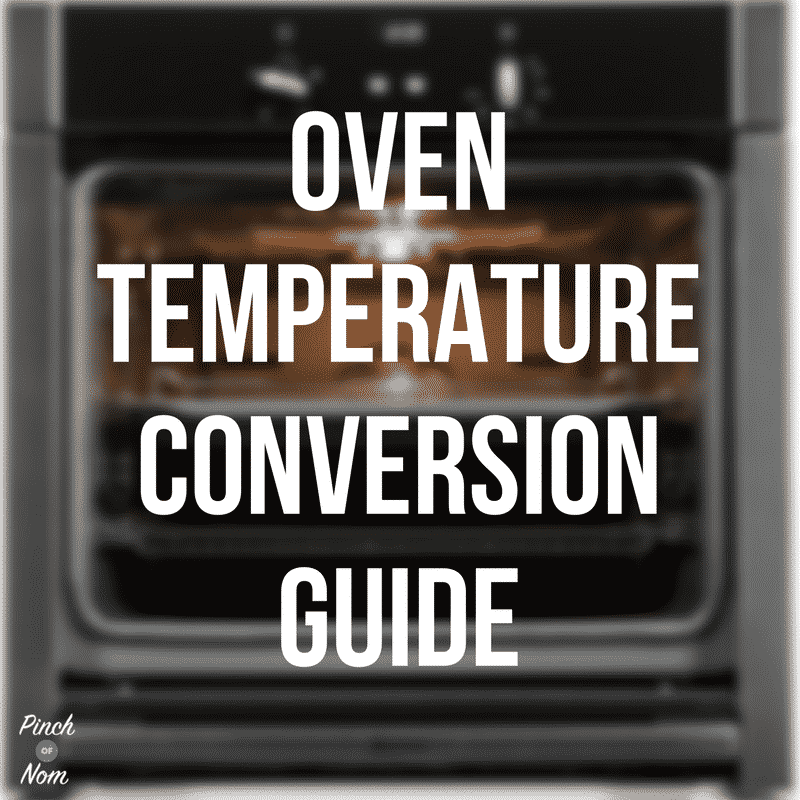 Like this Oven temperature conversion guide? Check these recipes out! Glad you found it helpful, Brenda!